Eating fish on Fridays is a tradition followed by a lot of families in the UK. The idea of swapping meat for fish on Fridays originated from the Christian faith. As Jesus died on a Friday, the Catholic Church decided that his Crucifixion should be commemorated each Friday. To honour Jesus’s ultimate sacrifice, Christians carry out a meat fast on Fridays, instead opting for a delicious fish dinner. The idea of eating fish when fasting has been reiterated throughout history. Back in 1522 after Henry VIII’s divorce from Catherine of Aragon was refused by the Catholic Church, the King broke away from the religion and its traditions. This meant eating fish on Fridays became a political statement against the king, causing the custom to fall out of fashion. During King Edward VI’s reign, the state of the fishing industry had become so bad that he reinstated fast days to encourage people to eat more fish, proving working fishermen with more trade and rooting the idea of Fish Fridays into our history. Despite its historical and religious connections, eating fish on Fridays is a tradition ingrained in the lives of many modern-day UK households. In fact, over a quarter of all fish and chips eaten in the UK is sold on Fridays. As much as we love fish and chips here at Plymouth Fisheries, we thought we’d help you try something new and offer some Fish Friday alternatives for you to try at home. For information about preparing and cooking fish visit the Recipes and Guides section of our website. This fantastic fish is often landed in large quantities at Plymouth Fisheries with a large amount being exported to European countries. As cuttlefish is similar to squid and it’s easy to cook, it can be used as a cheaper alternative in lots of dishes. This unusual fish has a creamy texture which is best enjoyed filleted due to its large head and sharp spines. Dory can be cooked in a variety of ways but tastes best when it has been well seasoned then pan-fried. This fish is a great alternative for cod lovers to try as, although whiting is much smaller, they come from the same family of fish. Best enjoyed fresh, whiting has a mild flavour meaning it can be used in a range of recipes, from soups to pies. No matter what fish you decide to try this Friday make sure you are supporting your local fishing industry by buying your fish from a local fish market or fishmonger. For more information about buying fish in Plymouth click here. Every Friday is a Fish Friday at the award-winning waterside restaurant Rockfish Sutton Harbour right now, with the venue based right next door to Plymouth Fisheries. 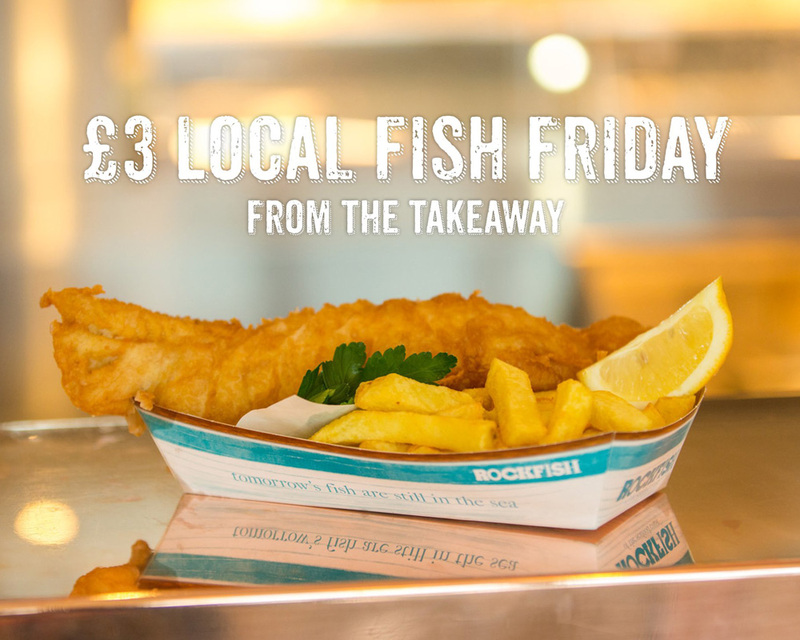 The £3 local Fish Friday deal is exclusive to the Plymouth restaurant and will run every Friday until the end of September, or every third Friday of the month at the Brixham and Dartmouth Rockfish restaurants if you’re further afield in Devon. Visit the takeaway from 5pm to buy local fish and chips for just £3. See the website here to find out more about Rockfish.